12 Northern Ireland bloggers received certificates for completing a six-week course at Lisburn City Library. Delivered by TrainingMatchmaker.com and backed by Libraries NI the course introduced new and intermediate bloggers to the tools and techniques necessary to become a successful presence in the online world. 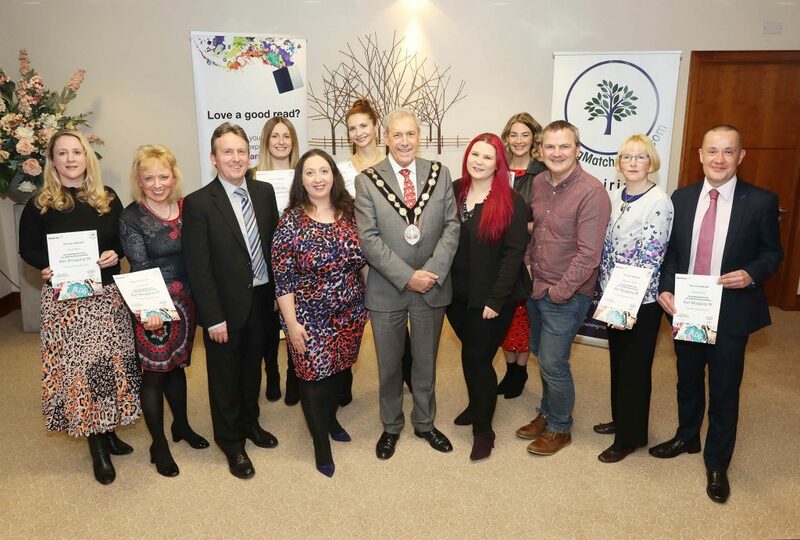 Mayor of Lisburn and Castlereagh City Council, Councillor Uel Mackin, presented certificates to all participants at Civic Headquarters, Lagan Valley Island, Lisburn on December 20. Pictured Front row: Fiona Taylor (participant), Lynda Willis (participant), Jim O’Hagan (CEO Libraries NI), Christine Watson Chartered Marketer at Watson and Co Chartered Marketing (founder of TrainingMatchmaker.com), Councillor Uel Mackin (Mayor of Lisburn & Castlereagh City Council), Tina Calder (TrainingMatchmaker.com trainer Excalibur Press), Ciaran Connolly (TrainingMatchmaker.com trainer Profile Tree), Mary Jane Burns (participant) and David Archer (participant). Back row: Karen McIlwee (participant), Clare Flynn (participant) and Jill McDowell (participant). 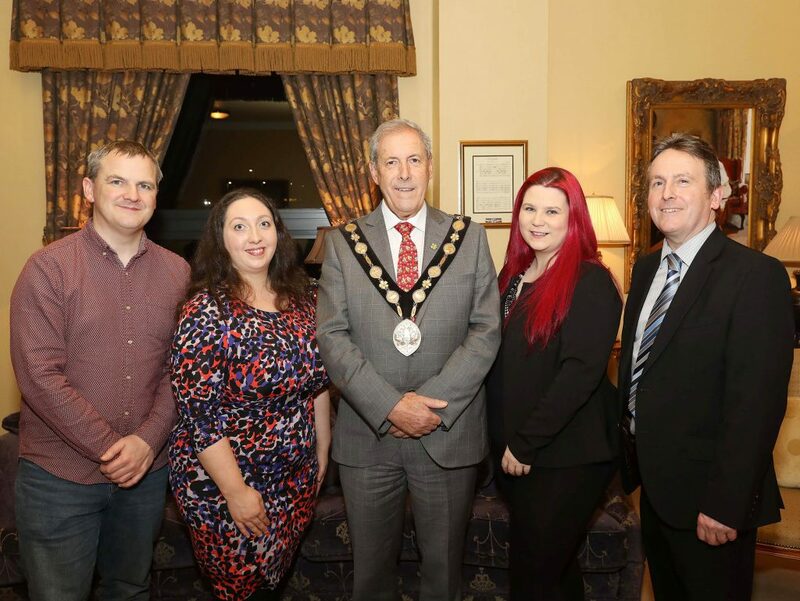 Mayor of Lisburn & Castlereagh City Council, Councillor Uel Mackin, presented certificates to all participants at Civic Headquarters, Lagan Valley Island, Lisburn on December 20. 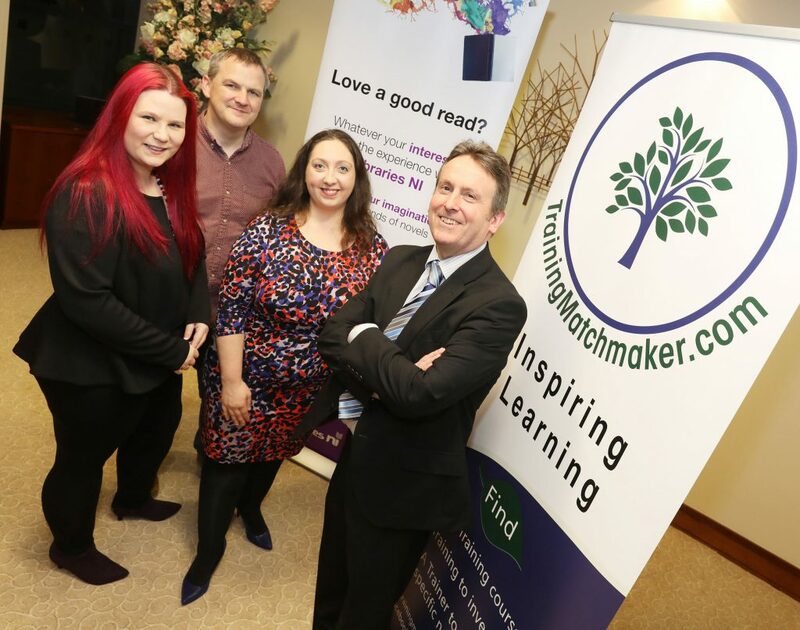 Trainers for the course were Chartered Marketer & Trainer Christine Watson of Watson & Co. Chartered Marketing (Founder of TrainingMatchmaker.com), Journalist and Publicist – Content Trainer Tina Calder (Excalibur Press) and Online Marketing Trainer – Ciaran Connolly (Profile Tree). Christine Watson said: “In Northern Ireland there is a thirst for knowledge and a real talent for sharing and telling stories that are relevant, entertaining and educational. “Blogging, vlogging and podcasting are the latest ways we can show the world what we experience, what we love and enable every one of us to use our words, pictures, videos and voice to inspire others. “This course saw participants from all walks of life engage and take on the lessons to share unique experience. From blogging on a corporate website and creating their own lifestyle blog to creating educational YouTube channels and simple daily journalising to improve mental health. The collective learnings of the group will now have all who attended reaching for their computers, tablets and phones. 2019 will see everyone who took part in the Lisburn course take forward the features they learned at the course on their chosen online platforms. Jim O’Hagan, Chief Executive Libraries NI added: “Libraries NI was delighted to offer this free six-week session in Lisburn. Storytelling is forever evolving and blogging, vlogging and podcasting is quickly becoming the new platform for telling stories through text, images and video. The event is one of many Libraries NI events that took place in libraries across Northern Ireland as part of Get Online 2018 – a campaign aiming to inspire individuals to #Try1Thing. 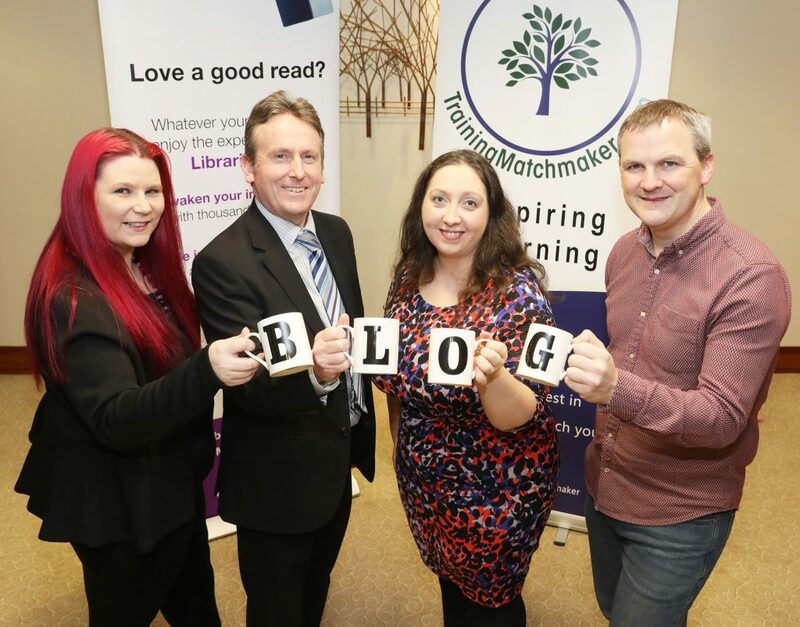 Northern Ireland trainers collaborate to deliver a six-week Get Blogging course at Lisburn City Library.